There are still a lot of these in people’s homes and I regularly get them in for repair. 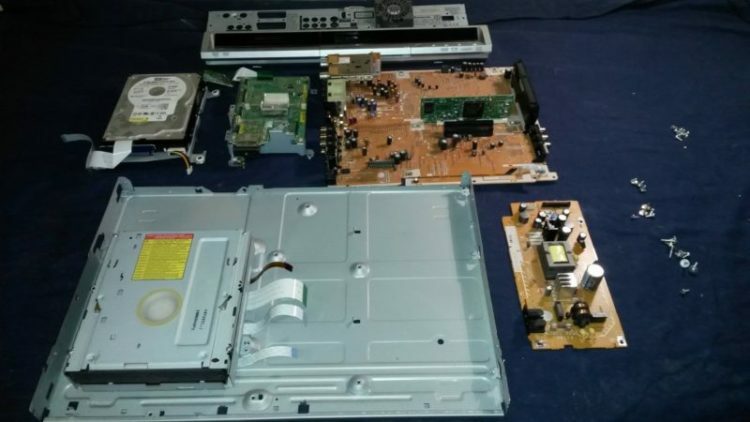 Both Panasonic and Toshiba made a range of DVD / VCR recorder combinations, all of them worthy of repair, especially as they were very expensive in their day and can no longer be bought new. On a weekly basis I repair at least one Panasonic with faults ranging from completely dead, to a range of U61, U80/81, U99 etc. fault codes, to the annoying problem of being able to hear a broadcast program in the background of recordings. The Toshibas suffer from just as many common problems, the point being that they can, in most cases, be easily repaired. If you have one of these and would like some advice before sending it in for repair please feel free to contact me by phone, email or contact form here on the website.